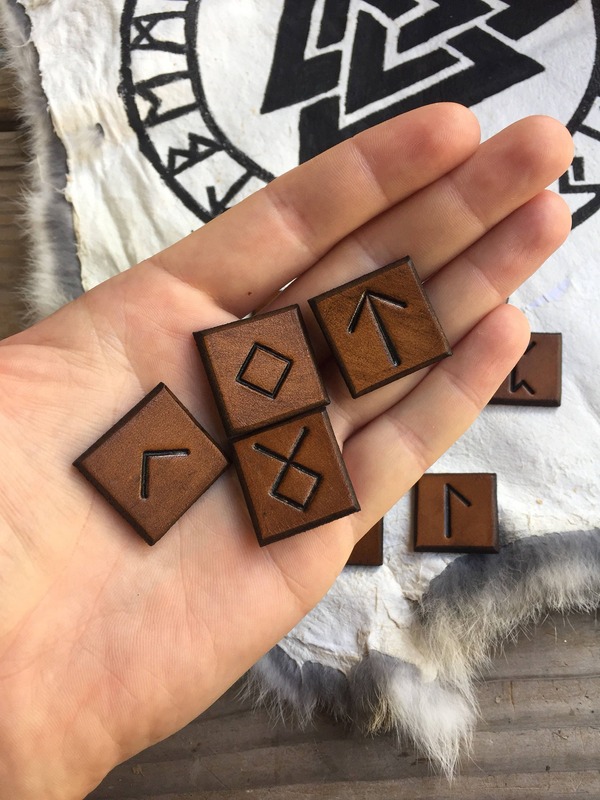 Hand crafted using only the finest hand picked Scandinavian leather available on the market. 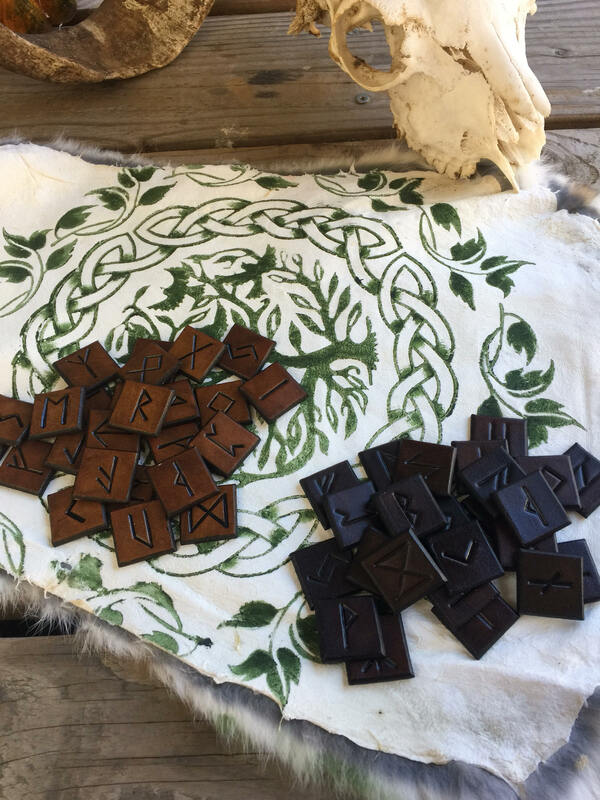 Every set is made together as one batch and hand dyed together using our own hand mixed dyes. Treated with oils and waxes to resist water damage. 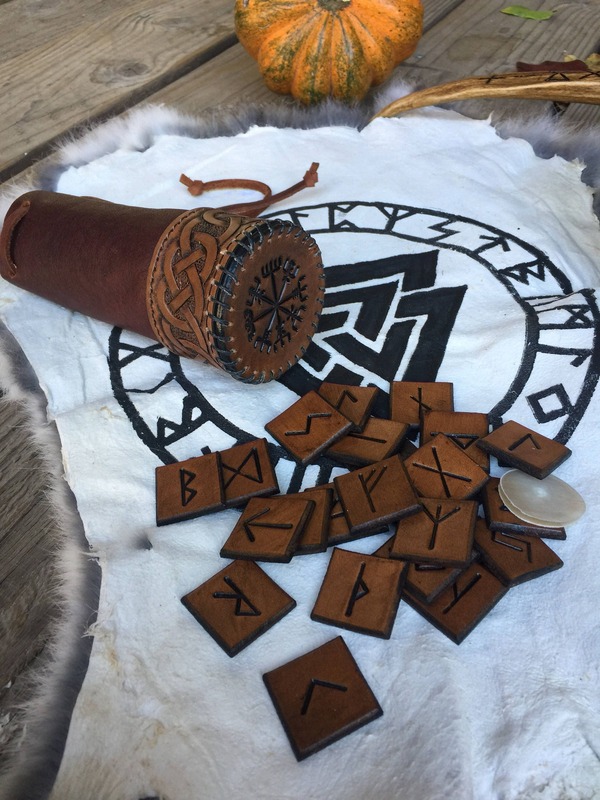 Every Elder Futhark set comes with the runes you see in the pictures. (the sliver of antler you see in the pictures was for a custom order and is not included). 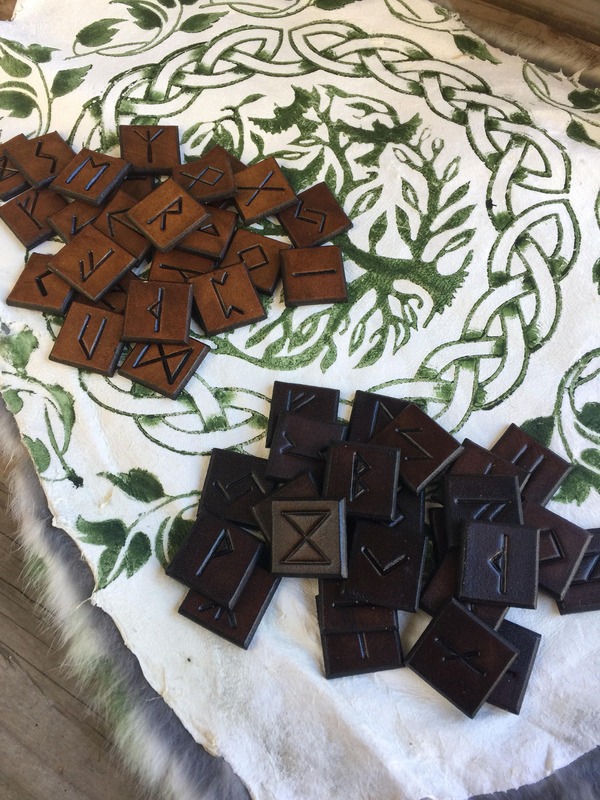 Please note i will not be including a blank tile or "blank rune" as this is a modern invention. 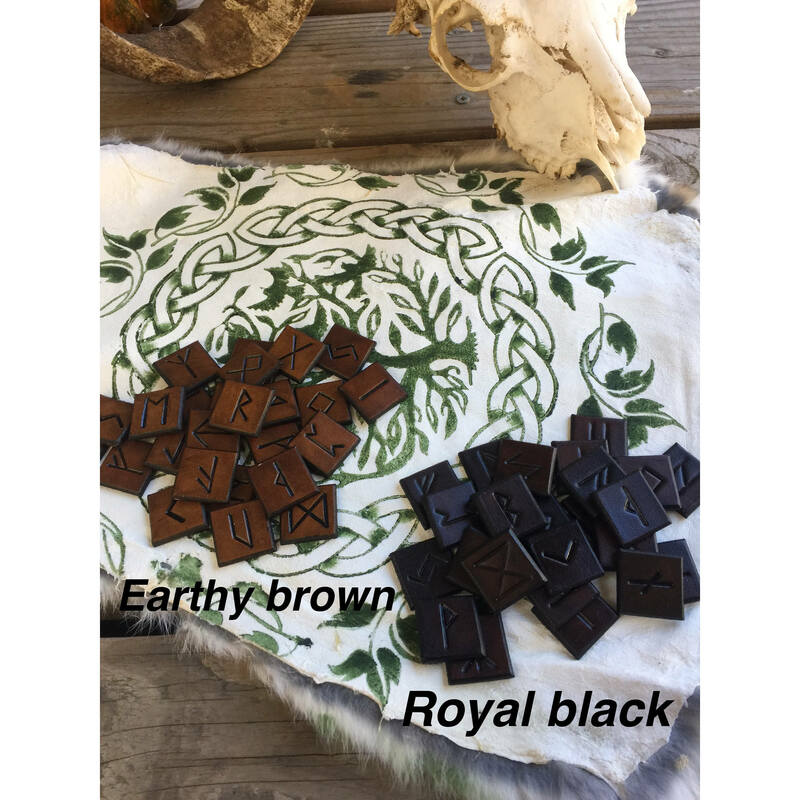 Please note that the Royal black dye i make isn't pure black its mixed with reds and browns to create what i feel is a more historically accurate black dye. 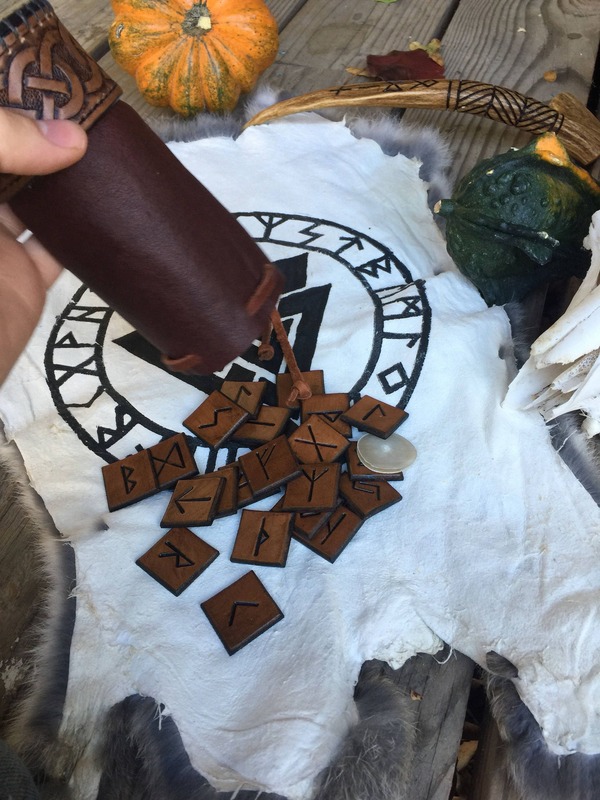 The casting cloth for the runes was made by the one and only Nornewoven here on etsy. 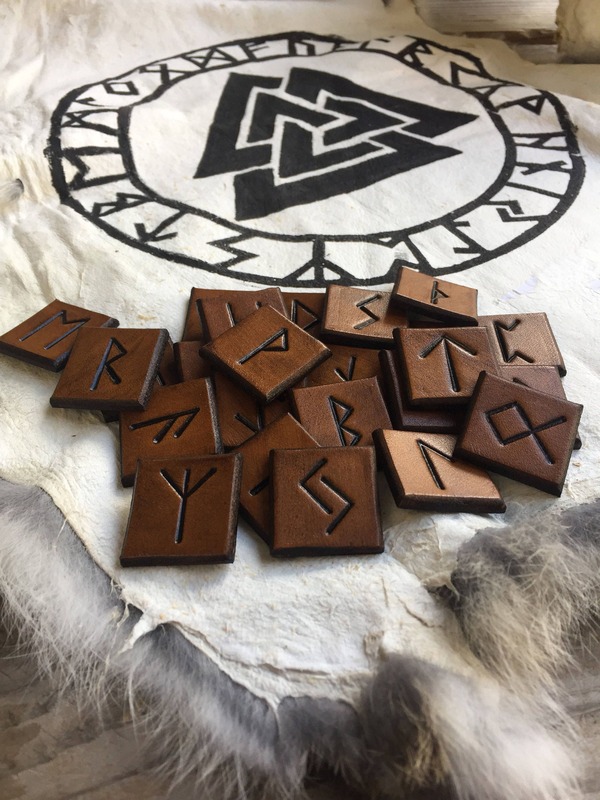 My first set of leather runes and I'm glad I chose this seller. 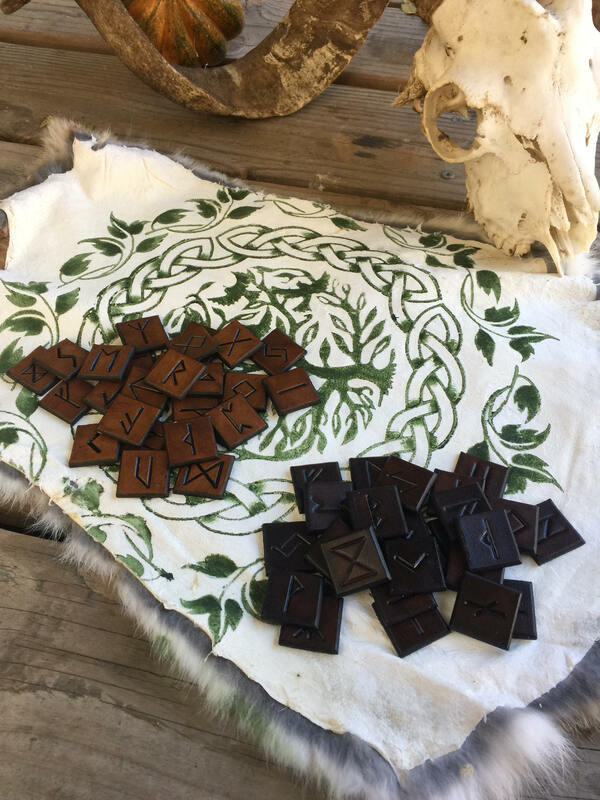 Beautifully made runes with nice beveling on the edges. 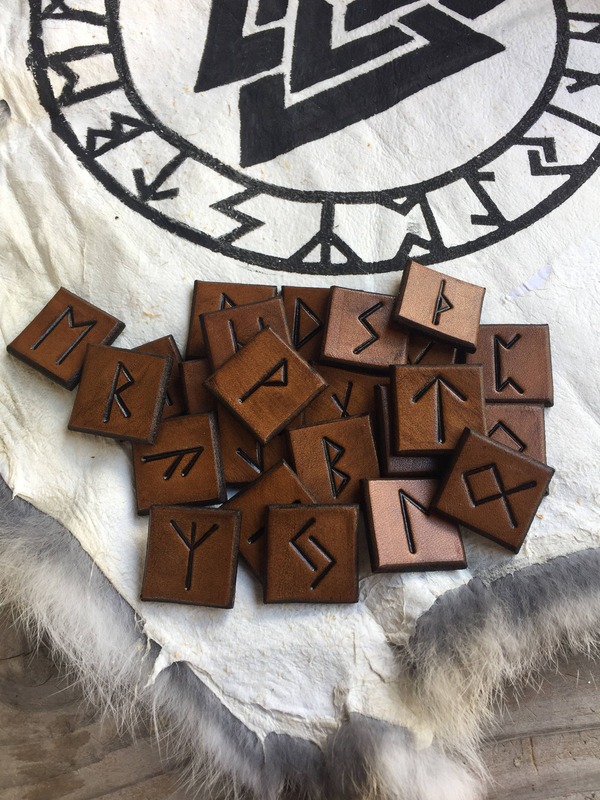 Excellent quality leather and fantastic deep impressions of each rune that are easy to read (earthy brown). They feel well protected from skin oils or moisture. They feel very nice and smooth in my hand, with no rough edges. I'm very happy with this purchase. Shipped quickly! Exceptional quality. Nice gift. 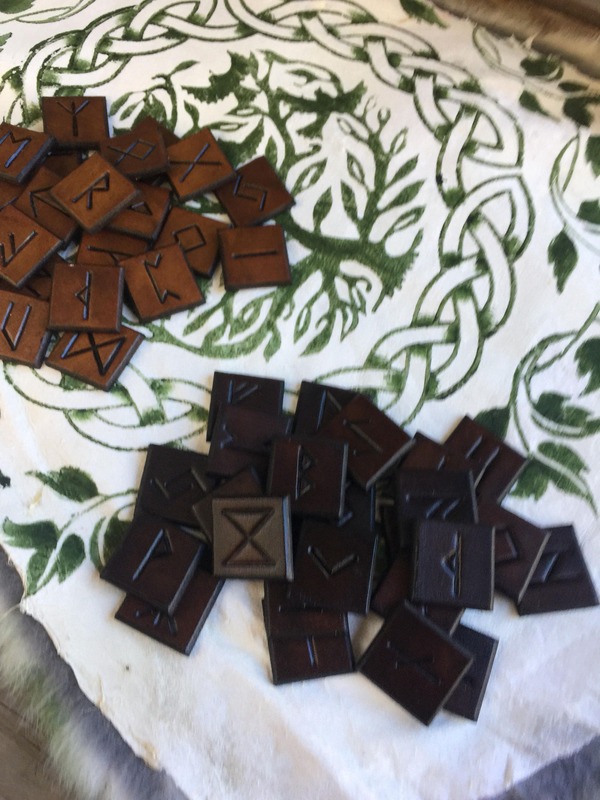 Crisp rune outlines.